Gitea provides automatically updated Docker images within its Docker Hub organization. It is possible to always use the latest stable tag or to use another service that handles updating Docker images. This reference setup guides users through the setup based on docker-compose, but the installation of docker-compose is out of scope of this documentation. To install docker-compose itself, follow the official install instructions. The most simple setup just creates a volume and a network and starts the gitea/gitea:latest image as a service. Since there is no database available, one can be initialized using SQLite3. Create a directory like gitea and paste the following content into a file named docker-compose.yml. Note that the volume should be owned by the user/group with the UID/GID specified in the config file. If you don’t give the volume correct permissions, the container may not start. Also be aware that the tag :latest will install the current development version. For a stable release you can use :1 or specify a certain release like :1.5.1. To bind the integrated openSSH daemon and the webserver on a different port, adjust the port section. It’s common to just change the host port and keep the ports within the container like they are. To start Gitea in combination with a MySQL database, apply these changes to the docker-compose.yml file created above. To start Gitea in combination with a PostgreSQL database, apply these changes to the docker-compose.yml file created above. To use named volumes instead of host volumes, define and use the named volume within the docker-compose.yml configuration. This change will automatically create the required volume. You don’t need to worry about permissions with named volumes; Docker will deal with that automatically. MySQL or PostgreSQL containers will need to be created separately. To start this setup based on docker-compose, execute docker-compose up -d, to launch Gitea in the background. Using docker-compose ps will show if Gitea started properly. Logs can be viewed with docker-compose logs. To shut down the setup, execute docker-compose down. This will stop and kill the containers. The volumes will still exist. Notice: if using a non-3000 port on http, change app.ini to match LOCAL_ROOT_URL = http://localhost:3000/. After starting the Docker setup via docker-compose, Gitea should be available using a favorite browser to finalize the installation. Visit http://server-ip:3000 and follow the installation wizard. If the database was started with the docker-compose setup as documented above, please note that db must be used as the database hostname. 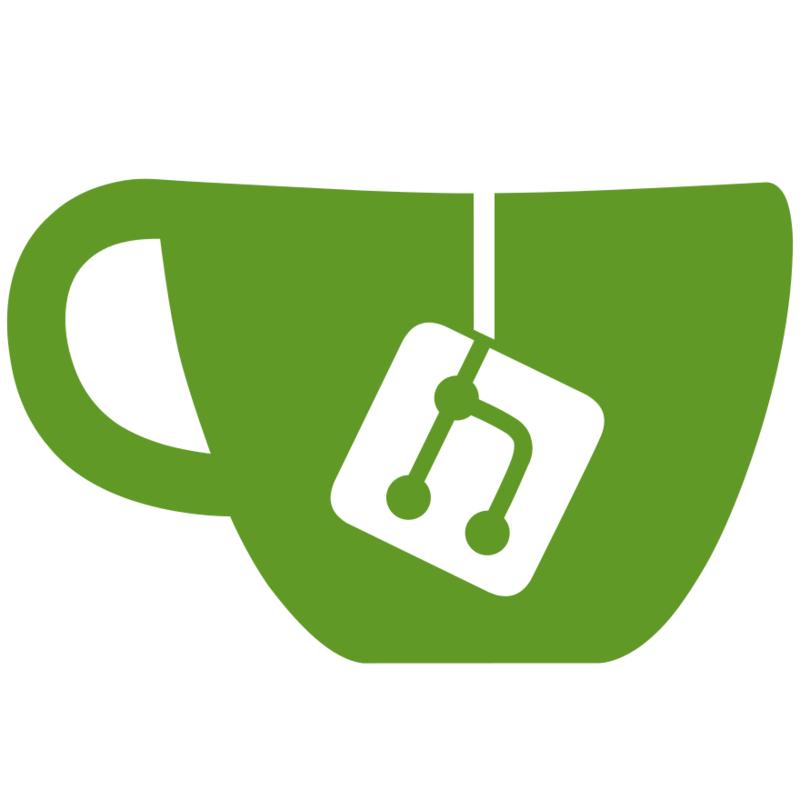 APP_NAME: “Gitea: Git with a cup of tea”: Application name, used in the page title. RUN_MODE: dev: For performance and other purposes, change this to prod when deployed to a production environment. SSH_DOMAIN: localhost: Domain name of this server, used for the displayed clone URL in Gitea’s UI. SSH_PORT: 22: SSH port displayed in clone URL. DISABLE_SSH: false: Disable SSH feature when it’s not available. HTTP_PORT: 3000: HTTP listen port. ROOT_URL: ””: Overwrite the automatically generated public URL. This is useful if the internal and the external URL don’t match (e.g. in Docker). DB_TYPE: sqlite3: The database type in use [mysql, postgres, mssql, sqlite3]. DB_HOST: localhost:3306: Database host address and port. DB_PASSWD: “<empty>”: Database user password. Use `your password` for quoting if you use special characters in the password. INSTALL_LOCK: false: Disallow access to the install page. SECRET_KEY: ””: Global secret key. This should be changed. If this has a value and INSTALL_LOCK is empty, INSTALL_LOCK will automatically set to true. DISABLE_REGISTRATION: false: Disable registration, after which only admin can create accounts for users. REQUIRE_SIGNIN_VIEW: false: Enable this to force users to log in to view any page. USER_UID: 1000: The UID (Unix user ID) of the user that runs Gitea within the container. Match this to the UID of the owner of the /data volume if using host volumes (this is not necessary with named volumes). USER_GID: 1000: The GID (Unix group ID) of the user that runs Gitea within the container. Match this to the GID of the owner of the /data volume if using host volumes (this is not necessary with named volumes). Customization files described here should be placed in /data/gitea directory. If using host volumes, it’s quite easy to access these files; for named volumes, this is done through another container or by direct access at /var/lib/docker/volumes/gitea_gitea/_data. The configuration file will be saved at /data/gitea/conf/app.ini after the installation. Since SSH is running inside the container, you’ll have to pass SSH from the host to the container if you wish to use SSH support. If you wish to do this without running the container SSH on a non-standard port (or move your host port to a non-standard port), you can forward SSH connections destined for the container with a little extra setup. This guide assumes that you have created a user on the host called git which shares the same UID/GID as the container values USER_UID/USER_GID. You should also create the directory /var/lib/gitea on the host, owned by the git user and mounted in the container, e.g. You can see that we’re also exposing the container SSH port to port 2222 on the host, and binding this to 127.0.0.1 to prevent it being accessible external to the host machine itself. ssh -p 2222 -o StrictHostKeyChecking=no git@127.0.0.1 "SSH_ORIGINAL_COMMAND=\"$SSH_ORIGINAL_COMMAND\" $0 $@"
sudo -u git ssh-keygen -t rsa -b 4096 -C "Gitea Host Key"
Now you should be able to use Git over SSH to your container without disrupting SSH access to the host. Please note: SSH container passthrough will work only if using opensshd in container, and will not work if AuthorizedKeysCommand is used in combination with setting SSH_CREATE_AUTHORIZED_KEYS_FILE=false to disable authorized files key generation.